In Print is proud to have bestselling author Kimberla Lawson Roby as our guest speaker at the February meeting. Kimberla has written twenty novels. She began as an independently published author, creating her own company to publish her first book. She has sold more than two million copies of her books since then. 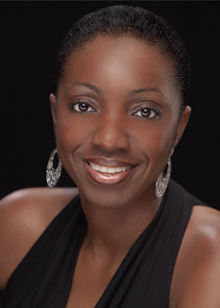 Kimberla is a 2013 NAACP Image Award Winner for Outstanding Literary Work – Fiction, the recipient of the 2006, 2007, 2009, 2010, 2011 and 2013 Author of the Year – Female award presented by the African-American Literary Award Show in New York, the recipient of the Blackboard Fiction Book of the Year Award in 2001, and the recipient of the 1998 First-Time Author Award from Chicago’s Black History Month Book Fair and Conference. Kimberla will talk about her journey to becoming a successful author and answer questions from the meeting attendees. The meeting will be at the Cherry Valley District Library from 1:00 pm to 4:00 pm on Saturday, February 8.